You and I both know you're going to want to point this at a teacher's forehead, but try and be mature. 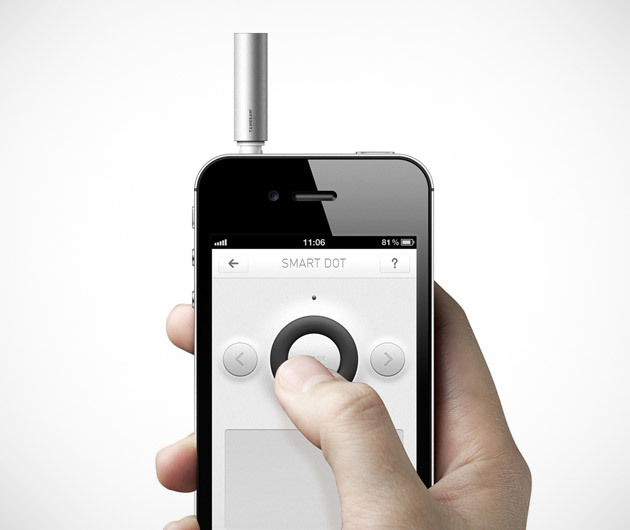 The Smart Dot Laser Pointer plugs into the headphone jack of an iPhone or an iPod, or it can be used with a stylus for a touch pad. With the free app, it becomes a laser pointer and presentation remote control.